Compare brand new Kia Niro Estate lease deals! All Niro Estate deals include delivery, road tax and a full manufacturer’s warranty. We collect the best Kia leasing pricing from across the industry, saving you time and money. Select a trim below to get started. 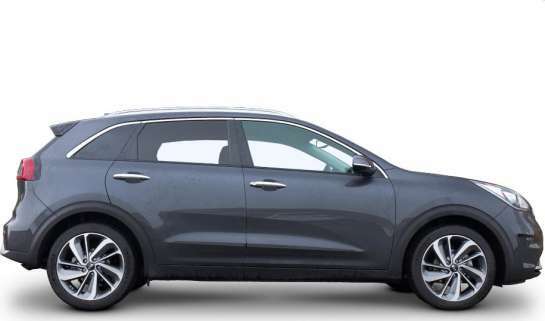 Which Kia Niro Estate Trim Should I Choose? Here you can view the pricing history for the Kia Niro Estate on LeaseFetcher. How often should I get the Niro Estate serviced? Kia recommends you arrange a service every 12 months or 10,000 miles , whichever comes first . How long is the warranty on the Niro Estate? Kia offers a 7 year or 999999 mile warranty , whichever comes first . What is the cheapest Niro Estate option? The Niro Estate is the cheapest to lease. It costs just £213.57 per month with an initial payment of £1,922.13. That's for a 4 year deal with 8,000 miles.